Payment Protection helps ensure your loan gets paid off—no matter what might happen. To add Payment Protection to one of your Penn East loans, including auto loans and signature loans, simply reach out. 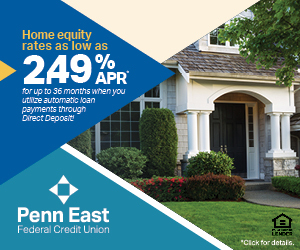 When you get a loan with Penn East, we try our utmost to make sure its protected. That's why we offer Payment Protection. If something happens to you during the course of the loan (such as death or disability), this coverage can reduce or even eliminate your remaining payments. It's a great way to protect you and your family from financial losses.